Four years ago I reviewed the then all-new fourth-generation Subaru Outback and I called it a Swiss Army knife on wheels and even went so far as to say it would most likely be my one choice for a vehicle not knowing what lies ahead. 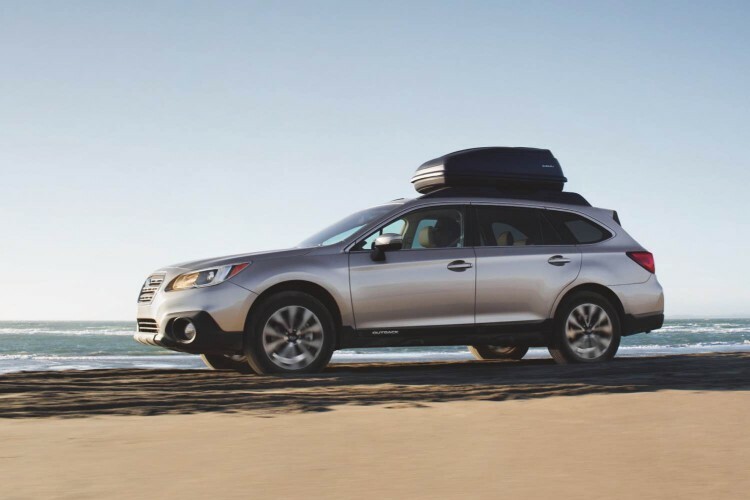 All that was true then and still rings true with this fifth-generation 2015 Subaru Outback. I am glad to see Subaru does not shy away from the term “wagon” as so many of its competitors do. That word seems to be a pariah in the marketing world these days yet actually means something so near and dear to our inner child. 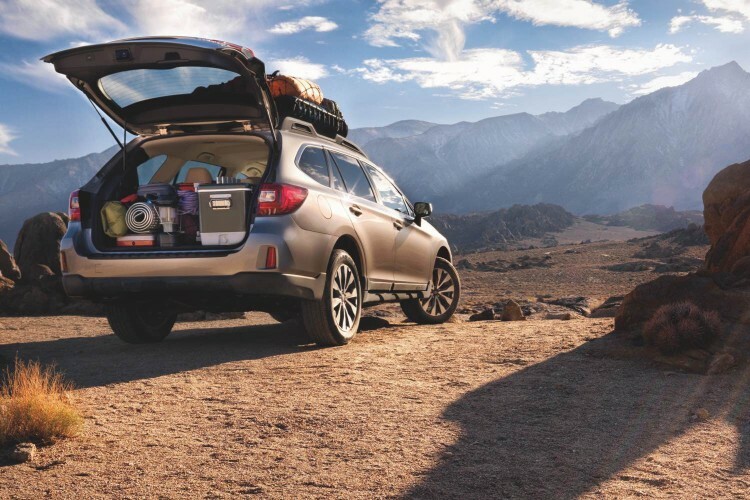 Subaru dubs Outback as the world’s first sport utility wagon and it will probably be safe with that claim for some time as few will step up to challenge for any title involving “wagon” even though most of us who were born before Nixon resigned can remember wagons taking us on all sorts of family adventures. 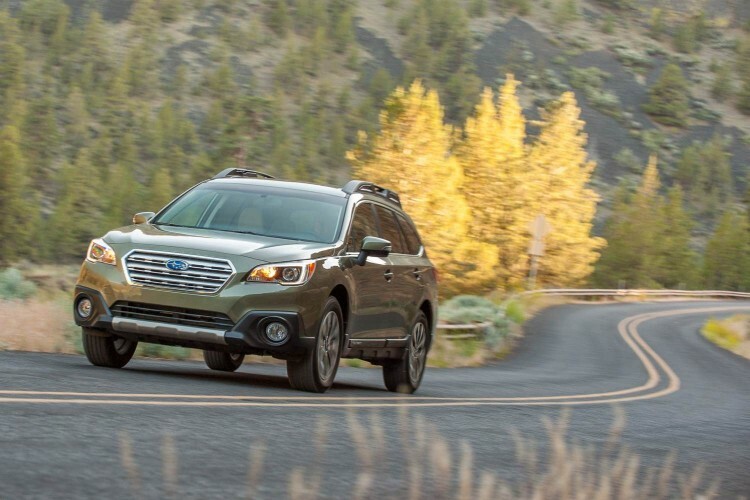 For its new Outback, Subaru has given its flagship an all-new design, more interior space than ever before, improved fuel efficiency, more comfort and convenience and improved ride and handling control. The model that visited us recently was the 2.5i Premium that is right in the middle of the model lineup outfitted with the 2.5-liter four-cylinder boxer engine. New for 2015 is the use of Lineartronic CVT gearboxes across all models. Power output from the new 2.5 engine is up a mere two ponies to 175hp total and 174 lb. ft. of torque but that power arrives over a wider powerband and Subaru’s CVT is the first transmission of this type that I felt truly comfortable with. The standard Symmetrical All-Wheel Drive features X Mode for increased control off of paved surfaces and new standard active torque vectoring technology and electric power steering offer greater on-road control, agility and handling. 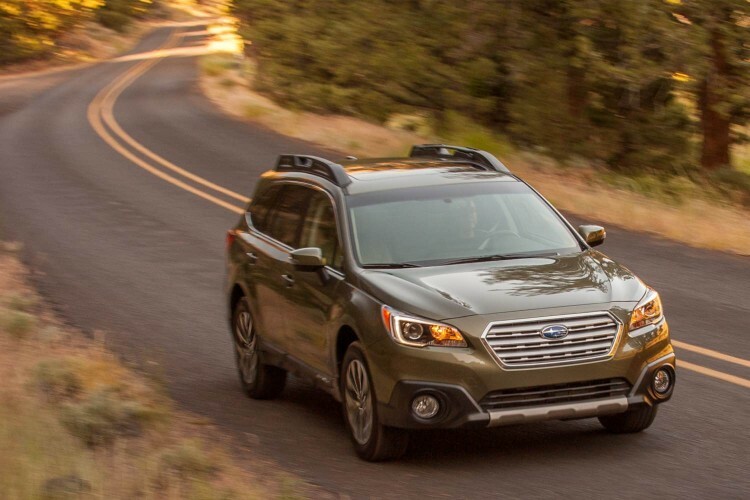 Outback owners will notice the quieter ride thanks to new acoustic windshield glass and liquid-filled engine mounts and despite occupying nearly the same footprint as the outgoing model the 2015 offers more space inside along with nicer, softer materials adding to the overall comfort. 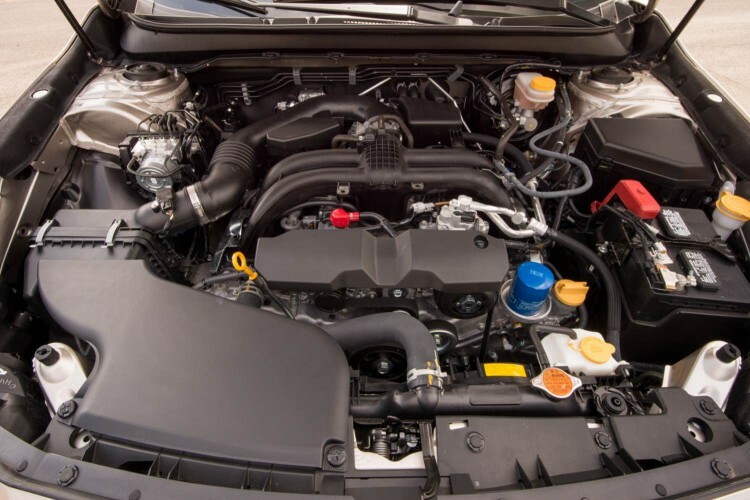 And thanks to the horizontally-opposed cylinder layout of the boxer engine design this is one of the smoothest four-cylinder engines one will ever experience. The 2015 Subaru Outback rides very comfortably and very stable. It handles exceptionally well and I really enjoy the AWD system in rain or shine. The vehicle holds its track nicely biting through the corners almost as if it were on rails. And should you require leaving the pavement behind, Outback drivers are treated to 8.7-inches of clearance between your vehicle and terra firma. New for 2015 is front seat-cushion airbags to help keep occupants in place in case of a frontal collision and all trim lines now feature a standard rear view camera and new rollover sensor that controls the side curtain airbags. Other new technology available is an upgraded EyeSight driver assist system that includes adaptive cruise control, pre-collision braking, lane departure warning, new color stereo cameras and steering-responsive fog lights. Also new is the Subaru Rear Vehicle Detection System that offers blind spot detection, lane change assist and rear cross traffic alert. Let’s talk about the new infotainment system. 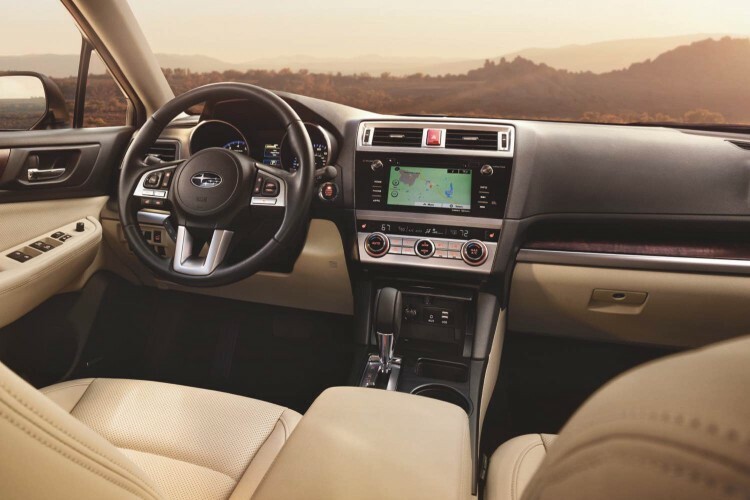 Subaru has given the 2015 Outback technology upgrades inside including a new 7-inch touchscreen display in the Premium and Limited models. What I discovered during my week with the car is that on sunny days the screen reflects the glare of the sun very harshly, blindingly so when the angle is just right. I also found the touch to be very sensitive and when not paying exact attention would change preset stations while adjusting the volume knob. 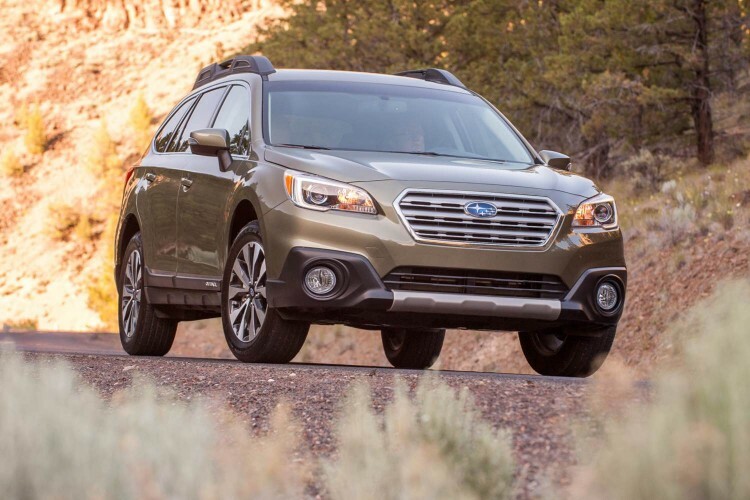 Pricing for the 2015 Subaru Outback begins at $24,895 with our Premium tester boasting a base MSRP of $26,995 and arriving with a final sticker of $29,480 after the inclusion of power moonroof and power rear lift gate. Despite the screen issues, the fifth-generation Outback from Subaru is quite the wagon and wears that honor well. I would highly recommend the 2015 Subaru Outback for all of my family and friends and I still stand by my claim that this would probably be my one choice of personal transportation not knowing what the future holds.